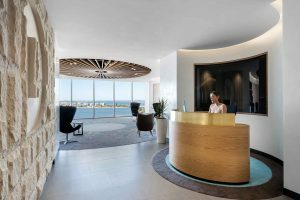 Caesarstone® manufactures high-quality, premium quartz surfaces. 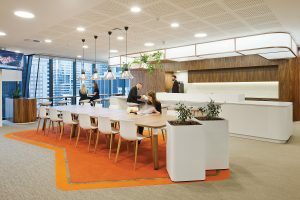 Applications in residential and commercial interiors include kitchen bench tops, splashbacks, bathroom vanities, wall paneling, furniture and more. 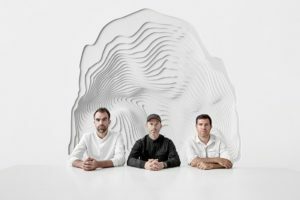 World-renowned quartz manufacturer Caesarstone has announced its latest collaboration, a partnership with New York-based collaborative practice Snarkitecture! 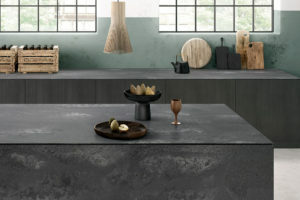 Caesarstone’s Rugged Concrete finish delivers the authentic look of a hand poured concrete benchtop with an authentic, robust, industrial design, yet adds the refinement of modern technology. 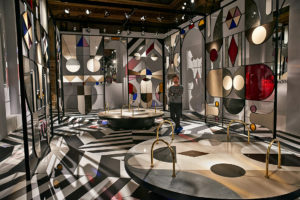 We caught up with Jaime Hayon at Palazzo Serbelloni in Milan, where Caesarstone unveiled his latest wonderland: a fun take on the idea of the pavilion with a Hayon-esque dose of eccentricity. 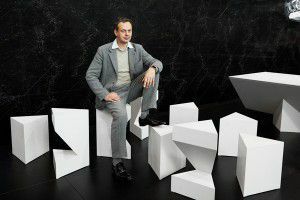 After 2016’s collaborative success with designer Sebastian Herkner, Caesarstone has been invited back by this year’s selected designer, New York-based Todd Bracher to help materialise his vision of the house of the future for Das Haus 2017- Imm Cologne. 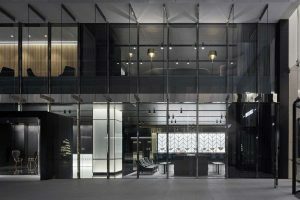 Last year it was Tom Dixon. 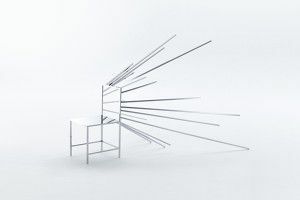 The year before that – Nendo’s Oki Sato. 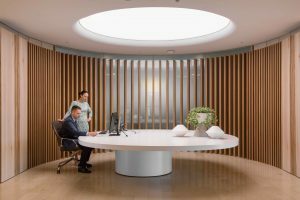 This year, Caesarstone’s designer-in-residence is everyone’s favourite quirky Spaniard, Jaime Hayon. 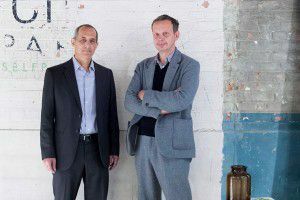 From within Caesarstone’s inspired culinary collaboration with Tom Dixon, we catch up with CEO Yos Shiran. 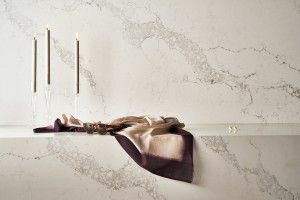 The Statuario Maximus is a welcome addition to Caesarstone’s marble-inspired quartz surface collection. 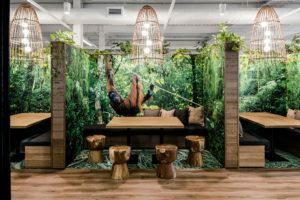 Leading quartz manufacturer Caesarstone has collaborated with famous British designer Tom Dixon for their 2016 Designer Programme, presenting an elaborate multi-sensory food experience in Toronto’s Interior Design Show called ICE. 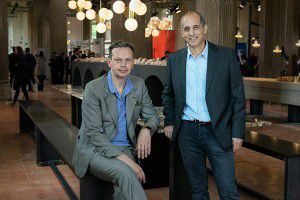 Leading quartz manufacturer Caesarstone has announced it will collaborate with leading designer Tom Dixon for their 2016 Designer Programme. 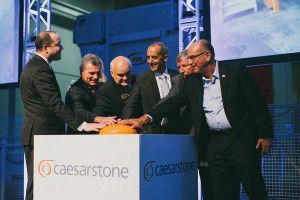 Luxury quartz surface manufacturer Caesarstone, recently opened its new manufacturing plant in Savannah USA at a ceremony on May 27, 2015. 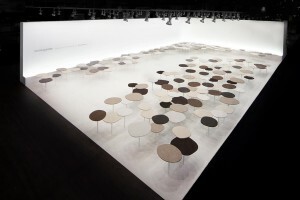 Canadian Philippe Malouin inserted himself into the factory production line to create Movements, an interactive installation presented at the Milan Furniture Fair 2015. 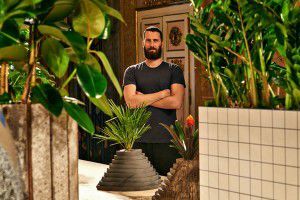 Alice Blackwood visited the grand palace, Palazzo Serbelloni, where the exhibition was held. 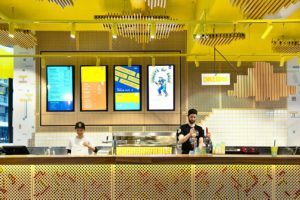 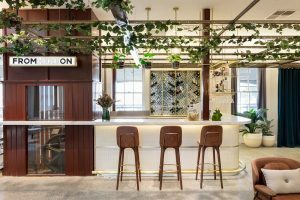 With a new designer diner in Melbourne’s Collins Street, Eid Goh of ArchitectsEAT and 8bit siblings Michelle and Alan Sam talk brand evolution, the significance of Super Mario and the sophisticated art of casual hospitality. 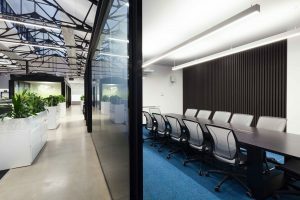 Can design provoke desired behaviour within a space? 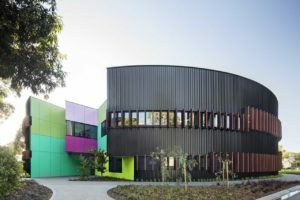 McBride Charles Ryan explores this possibility with colour, form and materiality in their most recent education project, Ivanhoe Grammar.